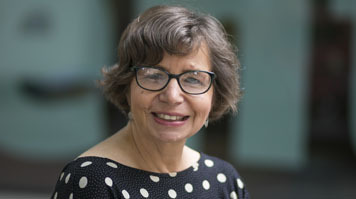 “Arguably, autism is only a disability in a disabling environment,” says Nicki Martin, Professor of Social Justice and Inclusive Education at LSBU. What autistic individuals find frustrating are ambiguous expectations around academic work, complicated admin systems and specific practical and sensory obstacles – for example, a lack of quiet places to work. Any institution can easily overcome those challenges – it just takes a bit of effort. Underpinning all of Nicki’s work is, first, a commitment to making sure it can be applied practically. Second is the principle of “Nothing about us without us” – that autistic people should be directly involved in research about autism, and in shaping their own provision. A case in point is the Cygnet project, a two-year mentoring scheme for autistic adults which grew out of a report by the National Audit Office that highlighted some alarming statistics: just 12% of respondents were in full-time paid employment, and 70% identified as having mental health problems. “We wanted to see if mentoring could help autistic people cope better with navigating social life, managing their practical and financial affairs, accessing education and training, finding work and maintaining their health,” says Nicki. “They were free to set their own goals – and the findings showed that this made a real difference to the scheme’s impact.” The programme is now being further developed by Employment Autism, a charity that aims to increase the number of autistic people in successful employment, while one of the Cygnet mentors, alumna Sarah McCulloch, has now set up a social enterprise for autistic people, Autistic Empire. Meanwhile, Nicki, along with Dr. Damian Milton who teaches on LSBU’s MA Education (Autism) programme and is himself autistic, has been instrumental in establishing the Participatory Autism Research Collective (PARC), which brings together researchers, practitioners, and autistic people. Our vision is of a future where autistic people are fully involved in the design and delivery of research, and the practical interventions that result from it. We believe this is the key to achieving real social and cultural change. Nicki Martin sits on the steering group of charity Employment Autism, which will launch fully in the next few months with the vision of a future where autistic people are valued and welcomed in the workplace. To share your advice or experiences, email CareTrade, based at LSBU’s Clarence Centre, is also supporting young adults with autism into training and employment. Find out more.